Our house (4 stars) is located in a very quiet environment, hiking trails and cycling trails are right outside the front door. Kreis Osterode and Harzort Bad Grund are about 5 km away. 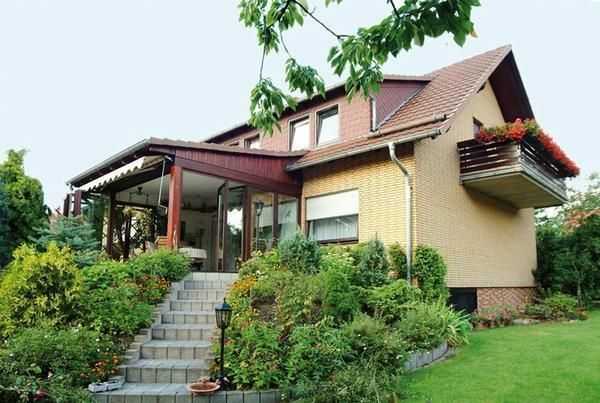 The beautiful half-timbered town of Osterode has a lovely leisure pool with spa, hiking and much more. Bad reason offers u. a. a cave adventure center, the "world forest", mine museum and brine bath. Pet: per object and day costs of 10 EUR (compulsory). Internet (per Object and day, included EUR 0). Parking (per Object and day, included EUR 0).